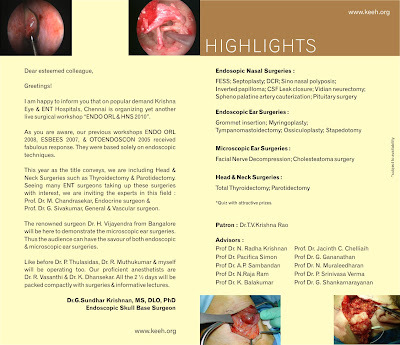 · Quite a lot of surgeries on all 21/2 days will be demonstrated, distinct from international conferences. The 2 way discussion will cover practically important points. · Quiz in a special way. The budding ENT surgeons as well as the post graduates eager to learn will profit. The banquets are free of cost. How will you treat Rhinitis Medicamentosa?